President Mahmoud Abbas urged leaders of the American Jewish community to support efforts to bring peace to the Middle East. 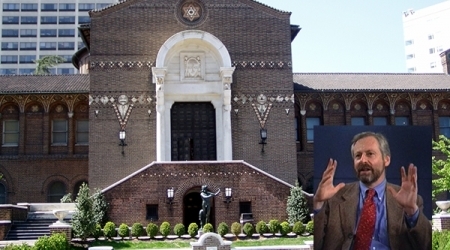 He told a group of Jewish community leaders he met in New York Monday evening that this is the time to make peace. Palestinian Authority Chairman Mahmoud Abbas revealed that resumption of talks extends the offer of normalized relations for Israel with 57 Arab and Islamic countries following Israel’s full withdrawal from all the territories occupied since 1967. The deadline, assigned to reach a comprehensive agreement with the Israelis, is six to nine months, Abbas said during a meeting held in New York with a number of American Jewish community leaders. He stated that the agreement states the release of 104 Palestinian prisoners detained before Oslo Accord, in return Palestinians will not resort to the International Criminal Court during this period. If the Israelis pulled out of Palestinian territories occupied in 1967, 57 Arab and Islamic countries would establish relations with Israel, he continued. Abbas has suggested during the meeting to form a committee to put an end to the incitement between both the Israelis and Palestinians. At this week’s annual top-level UN General Assembly meetings, Palestinian President Mahmoud Abbas will honour a promise to the US to suspend a Palestinian quest for further UN recognition. But Palestinians have made clear that the strategy is not off the table, particularly if negotiations with Israel on Palestinian statehood don’t produce an agreement by April, the target proposed by Washington. A poll published Monday indicates overwhelming support among Palestinians for the most dramatic element of the “international strategy” — bringing up Israel on war crimes charges at the International Criminal Court in connection with Israel’s continued settlement-building on war-won lands that the Palestinians want for their state. For now, Abbas will stick to his promise to US Secretary of State John Kerry, who prodded Israelis and Palestinians back to negotiations in late July, after a five-year break. “We will not apply for any agency of the United Nations this time,” Riad Mansour, the head of the Palestinian mission at the UN, said of the General Assembly meetings that began Monday. This year’s UN diplomacy is likely dominated by Syria’s civil war and Iran’s suspected nuclear ambitions. 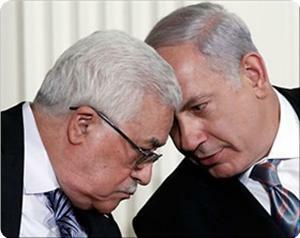 Abbas is addressing the plenum Thursday and is to meet a series of leaders, including President Barack Obama, on Tuesday. He is also set to talk with Kerry, Russian Foreign Minister Sergei Lavrov and European Union foreign policy chief Catherine Ashton. A year ago, Abbas used the General Assembly gathering to lobby for recognition of Palestine as a non-member observer state at the UN. Two months later, the General Assembly overwhelmingly approved the request, recognising a state of Palestine in the West Bank, Gaza Strip and East Jerusalem — lands Israel occupied in 1967 — by a vote of 138-9, with 41 abstentions. Israel and the US objected, arguing that such recognition harms attempts to negotiate the terms of Palestinian statehood in Israeli-Palestinian talks, with US mediation. Talks between Abbas and then-Israeli Prime Minister Ehud Olmert had broken down in 2008, and Abbas and Olmert’s successor, Benjamin Netanyahu, failed to find sufficient common ground. Abbas has said UN recognition is not a bypass to negotiations, but meant to improve Palestinian leverage in the lopsided relationship between occupier and occupied. Palestinians say that in affirming the 1967 frontier, the UN helped counter Israeli attempts to blur that line through massive settlement building. More than a half-million Israelis now live on war-won lands, complicating any effort to partition the territory under a future peace deal. Palestinians resumed talks with Israel in July despite low expectations, and without getting Israel to freeze settlement-building first. Yet Abbas could not afford to rebuff Obama at the time by saying no. Israel’s promise to release 104 long-held Palestinian prisoners over the course of the talks also helped bring Abbas back to the table. Abbas, in turn, promised to suspend his UN strategy, which Israel fears will heighten its diplomatic isolation. As part of that strategy, the Palestinians would seek membership in a number of UN agencies. The most dramatic step would be to seek action by the International Criminal Court, though Abbas hasn’t yet given the green light. 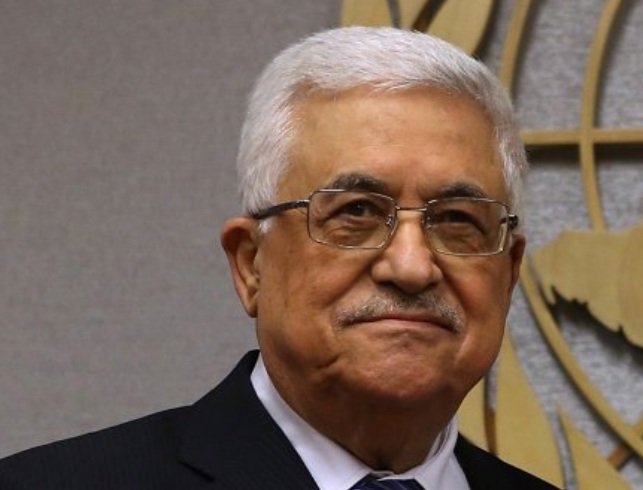 The Palestinian Centre for Policy and Survey Research said 60 per cent of Palestinians back Abbas’ decision to refrain from seeking membership in UN agencies for the duration of negotiations with Israel, in return for the release of prisoners. However, 67 per cent support going to the ICC immediately, even if it means prisoners won’t be released or Israel retaliates with financial sanctions, according to pollster Khalil Shikaki. He said the ICC option is popular because a majority of Palestinians don’t have faith in negotiations but also oppose a return to violence. “People want revenge because they see Israel is getting away with ... the theft of their land, confiscation of their property, bringing in settlers... and they feel there’s absolutely nothing they are able to do against it,” Shikaki added. The survey was conducted September 19-21 among 1,261 respondents, with an error margin of 3 percentage points. 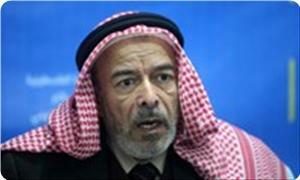 Political analyst Majed Swailem said Abbas is unlikely to abandon the UN strategy, despite the current suspension. 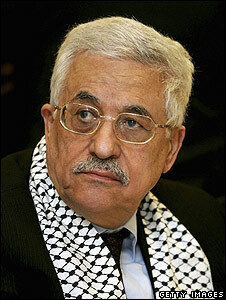 “The UN is the only strategy for Abbas, in case the current round of negotiations fails, as is expected,” Swailem said. “By the end of the assigned nine months, he can’t continue talking without any result and, of course, will return to the UN”. Is an End to Peace Negotiations Near? Palestinian Political analyst, Rafeeq Awad, told PNN that Israel will likely exploit the killing of two soldiers to evade the negotiation process with the Palestinians and thereby rid itself of external US and international pressure and regulation. Following the killing of an Isreali soldier by a Palestinian sniper on Sunday, Israeli Prime Minister Binyamin Netanyahu, de-facto expanded the Jewish areas of the West Bank and called for Israeli settler presence in a Palestinian neighborhood. Given the current peace negotiations, Netanyahu’s call for increased illegal settlement activity in PA controlled areas of the West Bank is interpreted by some as retaliatory and could threaten the continuity of the brittle peace negotiations. “Those who attempt to uproot us [Israelis] from the city of our forefathers will achieve the opposite effect. We will continue on one hand to fight terror and to harm terrorists and on the other hand to strengthen settlements,” Netanyahu stated just past midnight on Sunday. His statement iterated the need to support illegal annexation of Palestinian land through illegal settlements and to fight Palestinian ‘terror’. 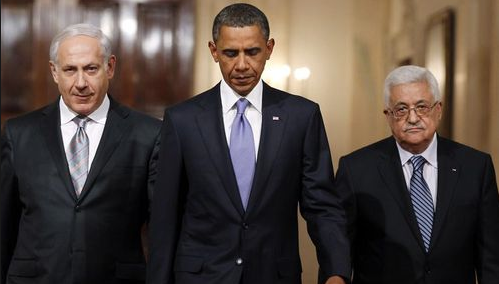 Netanyahu is set to discuss the Israeli-Palestinian peace negotiations with US President Barack Obama in Washington next week. Right wing Israeli politicians went even further, to demand halting negotiations with the PA as well as the promised release of Palestinian prisoners. 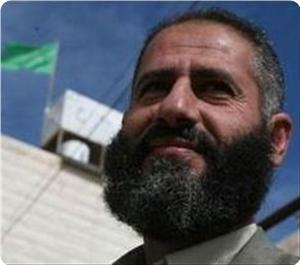 Avi Ro’eh who heads the Council of Jewish Communities of Judea, Samaria and the Gaza Strip, said “All ministers have a responsibility to stop talks with the PA,” and added that the murder of two Israeli soldiers in the last few days indicates Palestinians do not support the PA’s diplomatic policies and wish to travel the path of violence. Ro’eh statement about Palestinian violence is misguided, but, he is right about one thing: many Palestinians are opposed to the PA and PLO’s current negotiations with Israel. Several Palestinian groups launched a campaign on Sunday to demand that the Palestinian Authority (PA) halt peace talks with Israel. They also signed a petition rejecting the idea of land swaps with Israel and the annexation of settlement blocs, including east Jerusalem, to Israel, in any future deal. The campaign is being waged by various Palestinian groups, including the Popular Front for the Liberation of Palestine, the Palestinian People’s Party, The National Initiative, the Democratic Front for the Liberation of Palestine and the Palestinian Democratic Union, as well as several Palestinian political figures. The official said Abbas will criticize Israel’s continued construction of the illegal settlements and plans to build new housing units in some east Jerusalem neighborhoods. Meanwhile Occupied Palestine reported 229 Israeli cease-fire violations. Is the peace process working? Second deputy speaker of the Palestinian legislative council Hasan Khreisha has said that the West Bank was revolting against occupation and negotiations. He told the PIC on Monday that the confrontations and attacks (on Israeli targets) were a natural response to the Israeli occupation and its practices. The growing Israeli incursions and cold-blooded murder of young men had provoked retaliatory operations, the MP said. Khreisha said that all those in the Palestinian Authority and Fatah know quite well that negotiations with Israel did not serve any Palestinian goal but rather served the occupation and Americans’ strategies in the region. Insisting on such negotiations was only increasing the people’s anger and thus the negotiations should come to a halt, especially that it was coupled with Israeli raids, Khreisha added. The MP opined that what was happening in the West Bank had confused schemes being hatched against Gaza Strip, affirming that the Palestinian people would not remain arms-folded vis-à-vis any attack on Gaza. PA-Israeli security coordination had failed and whenever the people decide to revolt no security coordination would be able to stop them, Khreisha concluded. She was referring to the Israeli army killing of six Palestinians last month and this month in Qalandia and Jenin refugee camps, which prompted violent protests in several areas of the West Bank. “The EU regrets the loss of life, urges for maximum restraint and reiterates its call to all parties to refrain from actions that could undermine the negotiation process and the prospects of peace,” said Ashton. President Mahmoud Abbas arrived in New York on Sunday and is set for talks with European and world leaders in the coming days, including a meeting with US President Barack Obama scheduled for Tuesday, Foreign Minister Riyad Malki said on Monday. 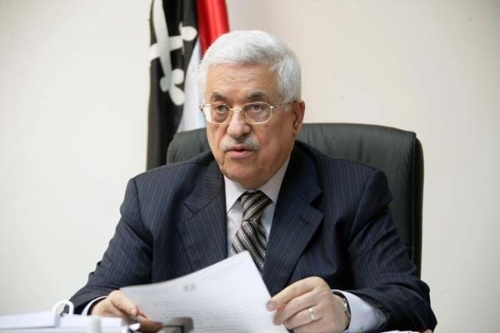 He told Voice of Palestine radio that Abbas will hold a meeting with European Union foreign policy chief Catherine Ashton on Monday. He said Abbas will talk about the latest developments in the peace talks with Israel, denying that Abbas will hold a meeting with Israeli Prime Minister Benjamin Netanyahu, who is also scheduled to travel to New York this week. Malki expressed concern that Israel may use the killing of an Israeli soldier in Hebron on Sunday and another off duty soldier in Qalqilya two days earlier in order to discredit the Palestinian Authority. However, he said, the PA will be ready to counter any such attempt from Israel by explaining what Israel is doing on the ground in the West Bank, including the recent killings in Qalandia and Jenin refugee camps. “We will talk about everything that Israel is doing on the ground and we can be persuasive in explaining the Palestinian position,” he said. US President Barack Obama will hold talks with Palestinian leader Mahmud Abbas on Tuesday on the sidelines of the UN General Assembly, the White House said. Obama is due to address the annual assembly of world leaders on Tuesday and will also find time to meet one-on-one with Abbas, Nigeria's President Goodluck Jonathan and Lebanon's Michel Sleiman, spokesman Ben Rhodes said. The meeting with Abbas comes six days before the visit of Israeli Prime Minister Benjamin Netanyahu to the White House amid ongoing Israel-Palestinian peace negotiations. "This is the President's first opportunity to meet personally and at length with President Abbas since the launch of direct negotiations between Israelis and Palestinians," Rhodes said. "The President will have an opportunity to hear firsthand from President Abbas about the progress of those negotiations," he added. "This is an important opportunity for him to reinforce the support of the United States for the progress that is under way for the Middle East peace, and to welcome the courageous steps that have been taken by both leaders and reinforcing the need to continue to make progress given the opportunity that is presented through these negotiations." Obama's meeting with Lebanese leader Sleiman will focus on the refugee crisis triggered by the war in neighboring Syria. "This will give him an opportunity to discuss the extraordinary refugee challenge confronted by Lebanon as they have to take onboard many hundreds of thousands of Syrians who crossed the border," Rhodes said. "The US has provided support for Lebanon in dealing with that challenge, and the leaders will be able to discuss the refugee situation as well as the broader situation in Syria." 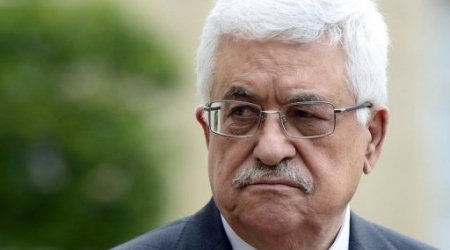 Dr. Yousef Rizqa, political adviser to the Palestinian Prime Minister Ismail Haneyya, has warned of Abbas's policy of misinformation regarding the negotiations with Israel, calling for revealing what's going on in the backstage. PA chairman Mahmoud Abbas has ignored the Palestinian public opinion towards the ongoing negotiations, Rizka told Quds Press on Saturday. Abbas has isolated the Palestinian people and factions, even the PLO and Fatah movement executive committees do not know anything about the resumed talks, the advisor said, adding that the current Ramallah government has become a government of services and know nothing about politics. He said that there are multiple and contradictory news about the ongoing negotiations, which are shrouded in secrecy. Some sources said that the negotiations have failed while other sources affirmed that the negotiations are going forward, he pointed out. The American administration is not an honest mediator, he charged, saying that U.S. Secretary of State John Kerry is always pressing the Palestinian side to give more concessions. 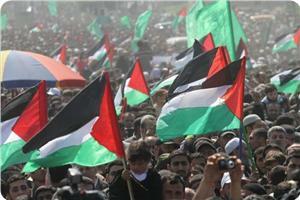 Rizka said that there is a deadlock in the negotiations due to the Israeli endless conditions. He said that meeting all the Israeli conditions would constitute a “political suicide” not only for Mahmoud Abbas but also for the negotiation option and Fatah movement. Hundreds participated in mass rallies on Friday in northern Gaza Strip to condemn the Israeli continued siege on Al-Aqsa Mosque, and the return to the PLO-Israel negotiations, local media reported. The marches were called for by Hamas Movement. They set off after Friday prayers from the Al-Kholafaa El Rashedin mosque in Jabalya refugee camp and roamed a number of the streets of the camp. The rallies, headed by ministers, MPs and a number of Hamas leaders, raised banners condemning Israeli measures in Al-Aqsa Mosque, and slogans rejecting the resumption of negotiations. "Storming Al-Aqsa and the attempts to Judaize it represent a natural result of negotiations based on more concessions from the Palestinian side in light of the Arab countries' preoccupation in their internal affairs", Hamas leader Mohammed Abu Askar said. 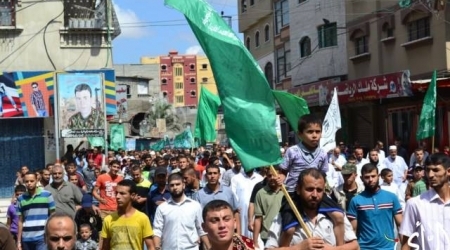 Hamas movement called on the Palestinian people in the cities of Ramallah and Bireh to sit-in on Friday to denounce the Israeli continued crimes against the Palestinian people and holy sites. The movement pointed out that the sit-in will be "in support of the Aqsa Mosque and in condemnation of the almost daily raids into its courtyards by the occupation forces and the extremist settlers." The occupation forces have allowed Jewish extremists to storm the Aqsa and perform Talmudic rituals in its courtyards after the Knesset Interior Committee demanded to allow Jews to pray at Al-Aqsa during the Jewish holidays. 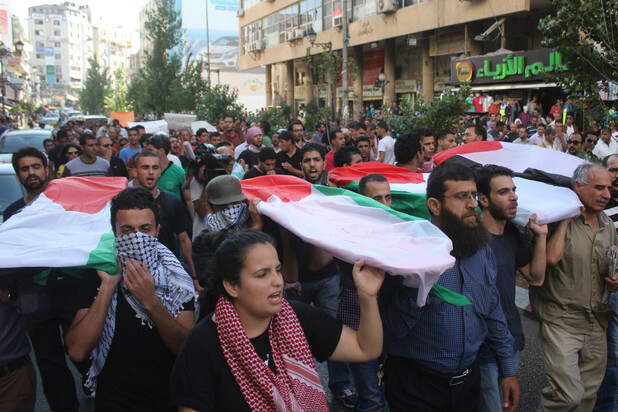 For their part, Palestinian security forces in Ramallah and Al-Bireh have suppressed more than once sit-ins and marches staged by Hamas movement to condemn the crimes committed by the Egyptian army against "supporters of legitimacy" after the recent coup in Egypt. Chief PLO negotiator Saeb Erakat said Thursday that peace talks could come to an abrupt end if Israel continues building settlements on occupied land and killing Palestinians. "There is a kind of pattern in these negotiations since they began," Erakat said during a visit with diplomats and journalists to the Jordan Valley in the occupied West Bank. "Every time there's a (negotiating) session, there is an announcement on tenders" for new settler homes, he said. And "seven Palestinians have been killed so far" in operations by the Israeli army since US-brokered bilateral talks resumed in August. Days before the first meeting on Aug. 14, Israel announced the approval of more than 2,000 new Jewish settler homes for construction in the West Bank and annexed east Jerusalem. In the latest deadly clash between Palestinians and the Israeli army, soldiers shot a 21-year-old suspected Palestinian militant during an arrest attempt at his home in Jenin on Sept. 9. He died in hospital. "Somebody needs to tell the Israelis: 'Give this peace process a chance, because if your pattern is to prevent Palestinians from coming to the negotiating table, you're about to succeed.'" Erakat declined to elaborate on the progress of negotiations, which are under a media blackout imposed by the talks' middleman, US Secretary of State John Kerry. However, he did comment on a proposal by Israeli Prime Minister Benjamin Netanyahu to maintain a long-term military presence in the Jordan Valley even after the creation of a Palestinian state. "In 2012, the net income from the settlements' enterprise project in the Jordan Valley and the Tubas governorate was estimated at $612 million dollars." "Netanyahu says that he needs to stay another 40 years in any settlements in the Jordan Valley. Of course, he will stay another four hundred years with such profits!" Short-lived peace talks collapsed in September 2010 after Netanyahu declined to renew a freeze on new settlement construction in the West Bank. Sheikh Hussein Abu Kuwaik, a leader in Hamas movement, said on the twentieth anniversary of Oslo agreement that the signing of the agreement was a second Nakba (catastrophe) to the Palestinian cause. Oslo accord has created a state of division within the Palestinian people, compromised the Palestinian rights and deepened the suffering of the Palestinian people where it gave legitimacy to the occupation's confiscation of 78% of Palestinian historical land, he said. He told the PIC in an interview on Tuesday that Oslo Accord constituted a serious turning point in the history of the Palestine cause and was meant among other goals to liquidate the armed resistance. He added that the Oslo agreement divided the Palestinian people into two parties, one party who supports negotiations and works in coordination with the occupation, while the second party still adheres to resistance option. Describing the ongoing talks between PA and Israeli authorities as “regrettable”, Sheikh Abu Kuwaik said that the PA preserves Israeli security and stability by prosecuting the resistance elements in West Bank, while the occupation continues its crimes and Judaization schemes. He said that the Israeli officials and leaders do not recognize any of the Palestinian rights to establish a Palestinian state or the right of return, noting that the PA accepted to be part of the Israeli-US project that targets the region. He called on the PA to halt negotiations with the occupation after failing in achieving Palestinian rights along twenty years of negotiation and to concentrate on achieving national reconciliation. Sheikh Hussein Abu Kuwaik said that Hamas movement had participated in the election under its own conditions without compromising any of the national constants or resistance option. The elections resulted in a legitimate elected government that managed to protect resistance and defend Palestinian people in two wars. He pointed to the severe torture practiced against Hamas supporters and elements in PA jails as well as to the continued suppression to the protests and sit-ins organized by the movement in the West Bank as part of the security coordination between the PA and Israeli forces. Regarding the possibility of launching the Egyptian army an aggression on Gaza, he said that the Palestinian resistance has only one enemy, which is the Israeli occupation, and does not wish to start conflicts with anyone else, especially the Egyptian people. Israel is close to officially approving the release of an additional 250 Palestinian prisoners detained before Aslo Accord, Palestinian sources said. 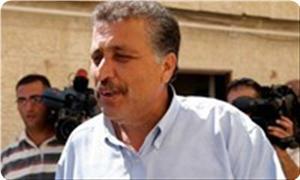 Israel has already agreed to release 104 prisoners as part of the resumption of peace negotiations. 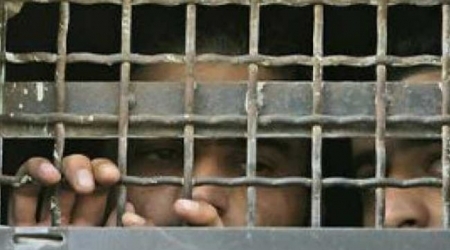 Twenty-six of those prisoners were freed last month. The second phase of the prisoners' release is scheduled for the end of October. The fourth and final release of prisoners is expected to take place on March 28. In early September, Mahmoud Abbas told a meeting of the Fatah Revolutionary Council in Ramallah that he has agreed not to turn to international organizations during the negotiations in return for the release of the 104 prisoners, who were detained by Israel prior to the signing of the Oslo Accords. "I consider the issue of the UN to be very important, but the case of the prisoners is worthy of sacrifice," he said. "We have prepared 63 requests to join 63 UN agencies and conventions, but I said the issue of the prisoners is now more significant." Palestinian Minister of Prisoner Affairs met recently with the families of the 104 prisoners and promised them that they would be released regardless of whether any progress is made in the peace talks. He said the prisoners would be released to Gaza and the West Bank. Meanwhile, Israel has agreed to allow limited quantities of building materials for use by the private sector into the blockaded Gaza Strip starting from Sunday. The quantities allowed in per day would be 1,600 tons of gravel, 800 tons of cement and 400 tons of iron. A Palestinian official in Gaza said that allowing building materials into Gaza was a positive development, but insufficient. "It's a positive step, but Gaza needs 6,000 tons of gravel, 4,000 of cement and 1,500 of iron per day," deputy economy minister Hatem Oweida said. Palestinian MP Mona Mansour said Israel seeks to impose on the Palestinians its racist vision of the form and the borders of a future Palestinian state that will have no borders outside the occupation state. MP Mona Mansour strongly denounced the demolitions in Khirbet Makhoul in the Northern Jordan Valley and the displacement of its inhabitants by the Israeli occupation authorities. She said in a press statement on Monday, commenting on the demolition, that the IOA seeks through its attacks and racist procedures against the Palestinians to facilitate the process of grabbing the Palestinian land after evacuating it from its owners and indigenous population. Mansour pointed out that "the occupation authorities are using the negotiations as a cover for its persistent aggressions against the Palestinian people and their properties in the West Bank, the Jordan Valley and the city of Jerusalem." 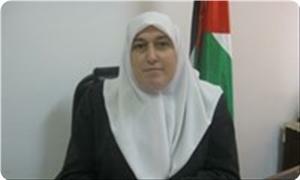 She added that the international and local silence had encouraged Israel to commit more crimes. The MP called on the Palestinian negotiator to shoulder his responsibilities by taking a bold step and stop the negotiations with the occupation, then work on achieving national unity. Commenting on the Israeli Government's decision to approve a series of easing measures for the West Bank and Gaza, Quartet Representative Tony Blair said: "I welcome the decision which reflects our ongoing discussions with the Israelis." Blair added, "This is an important step in building a more positive environment for the diplomatic negotiations and in preparing the ground for the more comprehensive and transformative economic initiative which we have been working on for the past few months." 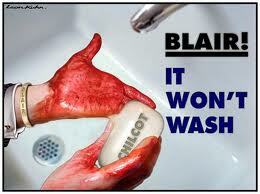 "Much more is needed to fundamentally transform the Palestinian economy and improve the lives and livelihoods of Palestinians, but one thing is clear – a vibrant and thriving Palestinian economy, although not a substitute for the peace process in any way, will be beneficial for both sides and can provide hope that a better future is achievable for all," Blair concluded. Palestinian Authority President Mahmoud Abbas announced on Sunday that the border between the future Palestinian state and Jordan will extend from the Dead Sea, through the Jordan Valley, and all the way up to Beit She’an, The Jerusalem Post reported. 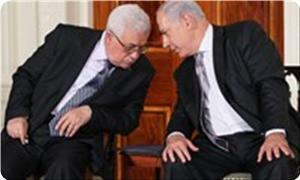 Abbas expressed the PA and PLO dedication to reaching a just and lasting solution to Israel’s occupation. He said, “If there are good and peaceful intentions, then we are ready for peace,” but insisted that the border of the Palestinian state will extend all the way up to Beit She’an, the newspaper added. The Maariv daily reported that the Israeli Government Coalition, who is participating in the negotiation process with the Palestinians, has recently approved a plan to pave a new road from the illegal Gush Etzion settlement bloc to the Dead Sea. Israeli ministers are scheduled Tuesday to visit the Gush Etzion bloc in the West Bank to view the project that will go into effect after four months, according to the newspaper. Israeli Transportation Minister Yisrael Katz, Agriculture Minister Yair Shamir and Chairman Avigdor Lieberman of the Knesset Foreign Affairs and Defense Committee will visit Gush Etzion bloc for their first work tour associated with the giant project, the newspaper added. Chief executive officers of the Tourism Ministry and the Department of Public Works, as well as other professionals who deal with infrastructure and the settlement enterprise in the West Bank will also take part in the tour. 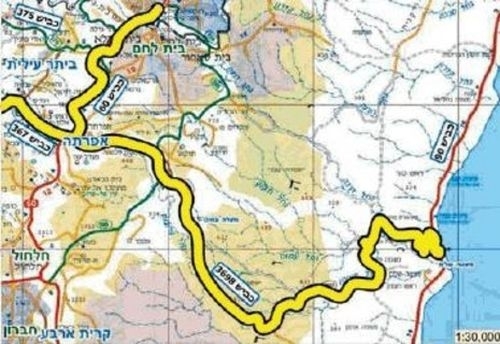 The road is intended to be the largest road connecting illegal settlements located in the southern West Bank to the Dead Sea, and will also connect Gush Etzion to Israel. The project is estimated to cost $34 million and will reduce the time between Gush Etzion and the Dead Sea to around 30 minutes. Maariv quoted an Israeli official from the Yesha Council and an Israeli government official as saying that the road project demonstrates the Jewish identity of the land, and will also strengthen Israeli tourism. New York Times published a lengthy article for Ian Lustick, a political science professor at the University of Pennsylvania, one of the world top seven universities titled "illusions of a two-state solution". Lustick explained the US failed to stand up to Israel's violations, and has a long history in providing a ground cover for the Israeli occupation policies; it also failed to discourage Israel from its settlement activity under the pretext that not provoking Israel would push it towards a peace agreement. Conceived as early as the 1930s, the idea of two states between the Jordan River and the Mediterranean Sea all but disappeared from public consciousness between 1948 and 1967. Between 1967 and 1973 it re-emerged, advanced by a minority of “moderates” in each community. By the 1990s it was embraced by majorities on both sides as not only possible but, during the height of the Oslo peace process, probable. But failures of leadership in the face of tremendous pressures brought Oslo crashing down. These days no one suggests that a negotiated two-state “solution” is probable. The most optimistic insist that, for some brief period, it may still be conceivable. “Those who assume that Israel will always exist as a Zionist project should consider how quickly the Soviet, Pahlavi Iranian, apartheid South African, Baathist Iraqi and Yugoslavian states unraveled, and how little warning even sharp-eyed observers had that such transformations were imminent.” He followed. Mahmoud Abbas, the Palestinian Authority chief, has renewed his insistence on going ahead with negotiations with Israel despite its ceaseless violations against Palestinian people and land. Abbas told a graduation ceremony in Jericho on Sunday that the Palestinian leadership was adamant on achieving a just and durable peace with “our Jewish neighbors”. 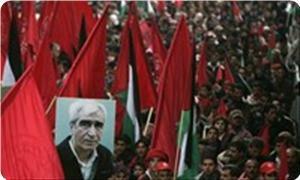 He said that such a peace agreement was possible thanks to the ongoing American-sponsored negotiations. “We are working with the American administration and the international quartet committee to ensure success of the peace process,” he added. Abbas said that he would not be deterred by Israeli violations on the ground including settlement activity, raids, arrests, and economic pressures and would go along that road to the end according to the timetable drawn by the American secretary of state John Kerry. Secretary General of the Popular Front for the Liberation of Palestine Ahmed Saadat said the PA headed by Abbas is not ready to draw lessons from the experience of Oslo, as it decided to return to negotiations and to submit to U.S. pressure. Saadat pointed out in a letter leaked from inside his prison cell at the Israeli Shatta jail "there is no logical justification or a project allowing the Oslo team to continue to bet on the negotiations. 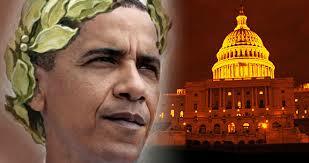 The experience over more than two decades has proven its failure." He said that the path of negotiations is based on conditions that apply only on the Palestinian side, while the occupation is free to complete its settlement projects. Saadat demanded tabling the Palestinian question with the United Nations, in order to provide international protection for the Palestinian people and to put the occupied territory under UN auspices for a transitional period during which the Palestinians would enjoy their right to self-determination and build the institutions of their independent state, which means disengagement from the Agreements of Madrid and Oslo and the futile approach of negotiations. He said that holding an international conference to compel the occupation to respect international law has become a priority and one of the axes of the alternative political vision for managing the conflict. 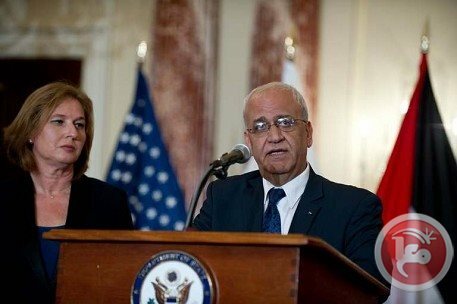 Palestinian lawmaker Nayef Rajoub said that the resumption of the peace talks with the Israeli occupation regime under the exceptional circumstances in the Arab region in general and Palestine in particular reflects the indifference of the Palestinian Authority (PA) to what will happen to the Palestinian cause. In a press statement to the Palestinian information center (PIC), Rajoub said that the PA negotiator did not learn from the Oslo experience, which failed miserably. "20 years after Oslo, the state was not established, the prisoners did not get out of jails, the settlement expansion did not stop, the enemy did not withdraw from one inch of land and there is no land at all to establish a country on," he added. The lawmaker emphasized that the future of the peace talks with the current Israeli government would never be better than the past 20 years of negotiation with its predecessors. 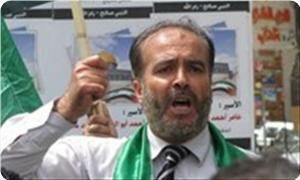 For his part, senior Hamas official Jamal Al-Tawil said that the PA negotiator's insistence on clinging to his frivolous talks with the occupation after 20 years of ongoing failure is a reprehensible and disgusting behavior. Tawil told the PIC that it is shameful for the PA negotiator to persist in pointless negotiations and make further concessions while the Israeli occupation keeps achieving all its settlement and Judaization schemes in Palestine. The Hamas official urged the Palestinian people to uphold their rights and national constants and never waive them, and to keep up their struggle for their national cause.